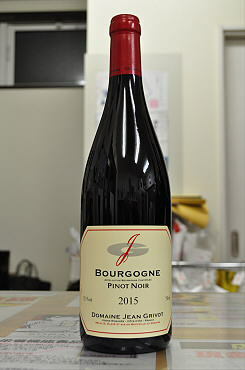 The 2015 Bourgogne Pinot Noir has an attractive, slightly rustic bouquet with cranberry and pomegranate aromas that gain cohesion as it aerated in the glass. The palate is medium-bodied with supple tannin, soft in texture but with admirable fruit intensity, finishing with tart cherries and a pinch of sea salt on the aftertaste. Recommended for a generic red Burgundy. 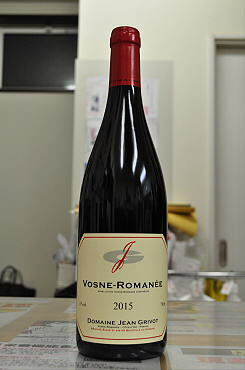 The 2015 Vosne Romanee has a perfumed nose of cranberry and raspberry preserve, hints of wilted rose petal emerging with time. The palate is medium-bodied with crisp, quite firm tannin. This is a relatively masculine and structured Vosne-Romanee compared to its peers, clean and precise on the finish with a saline tang. 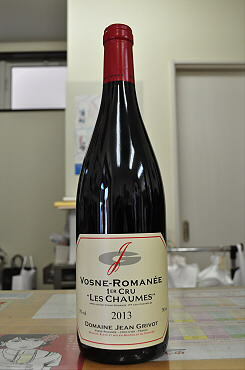 The 2013 Vosne-Romanee 1er Cru les Chaumees has the most perfumed and floral bouquet of Grivot’s premier crus at present ? very focused and charming. The palate is very precise and focused, a really tense and mineral-driven Premier Cru and I agree with Etienne that this is a Chaumees that really upped its game in 2013. This is a sophisticated, quite sensual wine that should give much pleasure over the next decade or two. 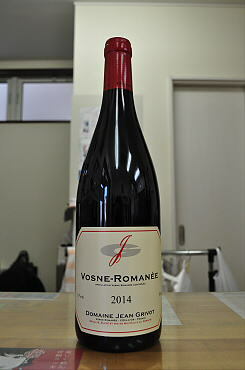 Tasted blind, the 2015 Vosne-Romanee 1er Cru Les Beaux Monts showed beautifully, offering up a lovely bouquet of dark, plummy fruit complemented by nuances of incense, Asian spices and smoked duck. On the palate, the wine is full-bodied, supple and lavish, with a rich but compellingly sapid core of fruit, juicy acids and largely concealed satiny structuring tannins. 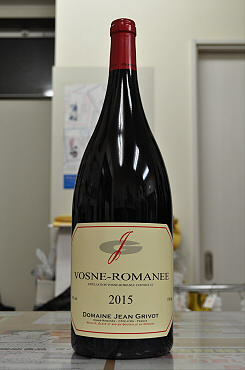 The 2015 Vosne-Romanee 1er Cru Les Beaux Monts has a tightly-wound bouquet that needed some coaxing from the glass, eventually unfurling with enticing aromas of small red cherries, raspberry, crushed violets and a subtle slate-like scent. The palate is medium-bodied with very fine tannin, wonderful structure, an imperious Les Beaux Monts that stretches its wings towards the finish and delivers a quite compelling, vibrant, energetic finish with enormous depth. This is probably the best from this vineyard in 2015. 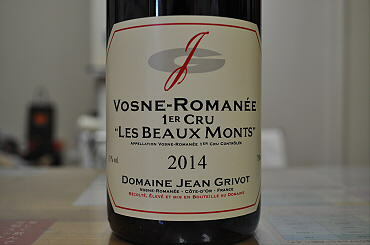 The 2014 Vosne Romanee 1er Cru les Beaumonts has a stony, quite reserved nose at first -- tightly wound black fruit, precise and detailed, though not as expressive as Aux Brulees at this stage. The palate is fresh and vibrant on the entry with firm, almost rigid tannin that frame the blackberry and raspberry fruit interlaced with citrus notes towards the correct, graphene finish. It should be afforded 3-5 years in bottle. From Grivot's oldest vines, his 2006 Nuits-St.-Georges Les Boudots completely outclasses its fellow Grivot Nuits-St.-Georges bottlings for depth of flavor, polish, and balance. Blackberry, game, peat, and a decadent lily-like floral perfume on the nose persist on a glyceral-rich and silkenly smooth, yet energetically interactive palate loaded with inner-mouth florality; dark mineral and carnal notes; and ripe berry fruit. This finishes with impressively tenacious yet somehow gentle grip. I certainly have the impression of inhabiting a gustatory space between Vosne and Nuits when I taste it. It should be worth following for the better part of a decade. 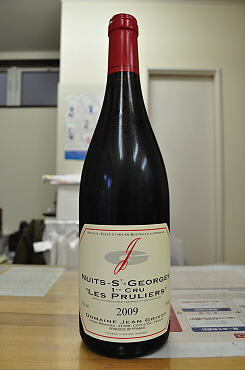 The 2009 Nuits St. Georges Les Pruliers offers up explosive red fruit and high-toned aromatics in a taut, linear style. There is plenty to admire in the wine’s vitality and energy. Floral notes wrap into crushed rocks on the multi-dimensional finish. Anticipated maturity: 2019-2029. 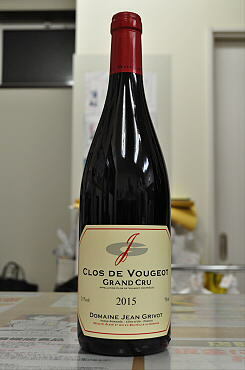 The 2015 Clos de Vougeot Grand Cru has a detailed, precise bouquet, very pure with ripe dark cherries, kirsch, orange sorbet and subtle graphite aromas. It is one of the classiest that you will come across from this ancient vineyard this year. 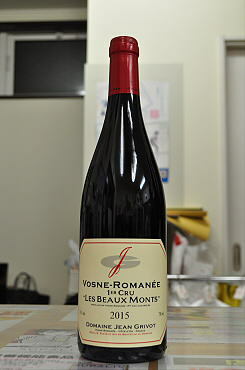 The palate is medium-bodied with ripe tannin that feel a little fuller and suppler than the premier cru Vosne-Romanees. Grippy in the mouth with an effervescent finish, this is a long-term Clos de Vougeot that will age effortlessly over 20-30 years. 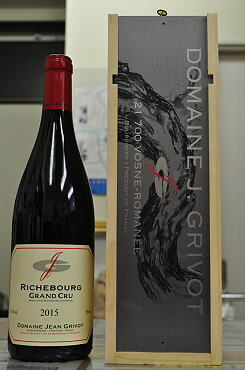 Tasted blind, Grivot's 2015 Richebourg Grand Cru showed brilliantly, soaring from the glass with a fragrant bouquet of peonies, rose petals, black raspberries, candied peel, exotic Asian spices and blood orange. On the palate, the wine is full-bodied, ample and elegant, with satiny tannins, succulent acids and a long, perfumed and beautifully delineated finish. 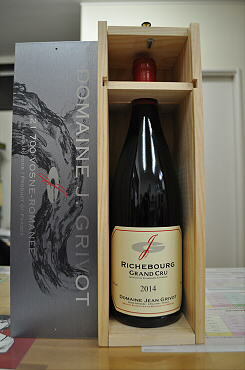 This is a stunning Richebourg that exemplifies the new stylistic paradigm chez Grivot, where the wines seem to gain in finesse with every passing vintage. 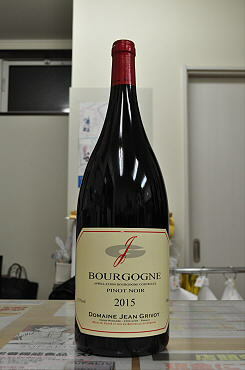 The 2015 Richebourg Grand Cru has a very intense bouquet, like many Richebourgs a little standoffish at first, though it soon opens up with powerful aromas of black cherries, anise, orange zest and wet stones. You still come away with the impression that you are only witnessing the tip of the aromatic iceberg. The palate is medium-bodied with tensile tannin, vibrant red and black fruit with hints of mandarin and balsamic. It crescendos with multilayered, mineral-rich black fruit with a healthy pinch of white pepper and an otherworldly prolonged aftertaste. Stunning. The 2014 Richebourg Grand Cru has a quite compelling bouquet, as one is getting accustomed to chez Grivot. There are pure dark cherries, red plum and boysenberry fruit here, infused with fine mineralite and that sense of aristocracy one seeks in a Richebourg. The palate is medium-bodied with supple tannin, wonderful acidity and beautifully integrated oak. There is great poise here, power hand in hand with elegance, a consummate Richebourg that will give a lot of pleasure over many years.